The company that has the contract for all waste and recycling disposal sets most of the rules about what goes in the dumpster and what doesn't, but it's always good to check with the manager at your Chico or Redding area apartment to see if they have any specific waste disposal policies of their own. Trash is required to be in the dumpster with the lid closed for pickup. That means that if you can't fit your trash in without the dumpster overflowing or propping up the lid, it doesn't belong in the dumpster. 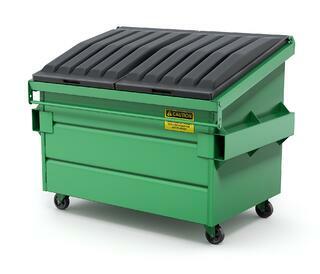 This also helps reduce mess in the dumpster area and discourages scavenging animals. If you have a large item to dispose of that doesn't easily fit into the dumpster, you can usually schedule a pick up with the waste disposal company if you notify them 48 hours in advance. Check in with your apartment manager to see how your facility deals with these kinds of special pick ups. The apartment manager may be able to notify the company and schedule it on your behalf. Typically, items must be ready for pick up by 5 a.m. Acceptable items include furniture and appliances. This is a common need when moving out of your Chico or Redding apartment, since people are often getting rid of old furniture or need to dispose of a worn out mattress. The waste disposal company will not pick up: Hazardous Waste (Products labeled toxic, poison, corrosive, flammable or irritant), Medical Waste (Needles, Prescription Medication), Paint, Oil and/or Oil Filters, Batteries (Household and Automotive), CFL and Fluorescent Bulbs and Tubes, Tires, Hot Ashes, Electronic Waste (Computers, Televisions, Cell Phones, Kitchen Appliances), Ink Cartridges, Dead Animals. Most hazardous waste from your Chico or Redding apartment can be disposed of safely at the Butte Regional Household Hazardous Waste Facility. This service is free of charge to all households in Butte County. Click here to dispose of hazardous waste if you're a Redding resident. If you have a computer or computer parts that are still functional but that you are disposing of, please consider donating them to Computers for Classrooms. They are a non-profit organization that refurbishes used computers and provides them at a low cost to schools, veterans, seniors and qualifying families. If you are unclear on what you can recycle Waste Management has a lot of information for you here. The main categories of recyclables are: metals, paper/cardboard, glass and plastics. Check all your items for the recycle symbol and the terms: CA CRV, CA Cash Refund or CA Redemption Value. Waste Management has a great FAQ on their website that should address most of your questions about garbage, recycling and yard waste. When in doubt, use your common sense when deciding what to put in the dumpster at your Chico or Redding apartment. If you were the person collecting the garbage, would you be displeased to see what had been thrown into it? A mattress half-hanging out of the dumpster with the lid propped open probably wouldn't put a smile on your face. If items are potentially hazardous, look it up and see if it should go the hazardous waste. Recycle everything you can, we only have one planet, let's try to take care of it. E-waste can be especially toxic so make sure it goes to the right place and if possible, donate it somewhere that can still make use of it, like Computers for Classrooms.